I have read mixed reviews on this cleanser, so I decided to purchase it and try it out for myself. The text on the front, 'The most thorough of all cleansers. ', seemed very promising and I was excited to use it. The smell is something I love, although not your typical fresh and sweet aroma, I still find it pleasant. The consistency is great to work with, and the oils melt into my skin. With an impressive list of natural ingredients, such as almond oil, beeswax, honey and rose water, Ultrabland is amazing for my sensitive skin. I first used this cleanser in the morning, after washing my face. Although the cleanse was thorough, I did find that a residue was left on my skin. Due to this observation, I have started using it as a night cleanser before bed. The cleanser is brilliant for removing makeup, even on the eyes for the removal of mascara and eyeliner. I use a damp muslin cloth to remove the product and it works perfectly. 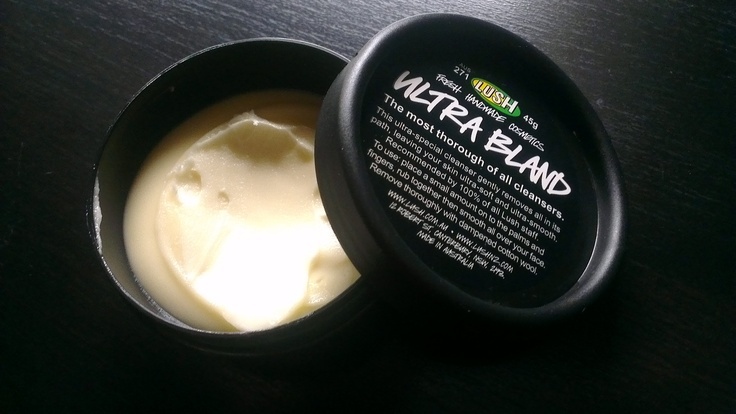 Overall, it leaves my skin feeling plump, smooth and ultra-soft. Have you used this cleanser before? What were your thoughts?